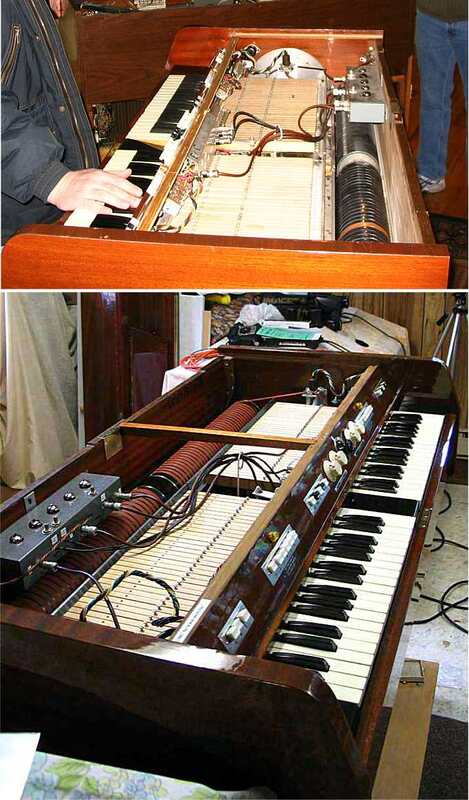 Your Webmaster dug out some older photos of the QDivision Mellotron Mark II before the restoration at the Mellotron Ranch. We can now see the difference. 1) & 5) The QTron's general appearance is quite good. Jerry spiffitized it a little and repaired the chipped veneer around the bottom edges. 2) Under the lid. Note the fresh new set of tapes! 3) & 4) & 5) The wires strewn about are gone. As with the other Pindertron, they attempted to quiet things down by running ground wires everywhere years ago. This was not needed---the tape heads had to be rewired (and these were). 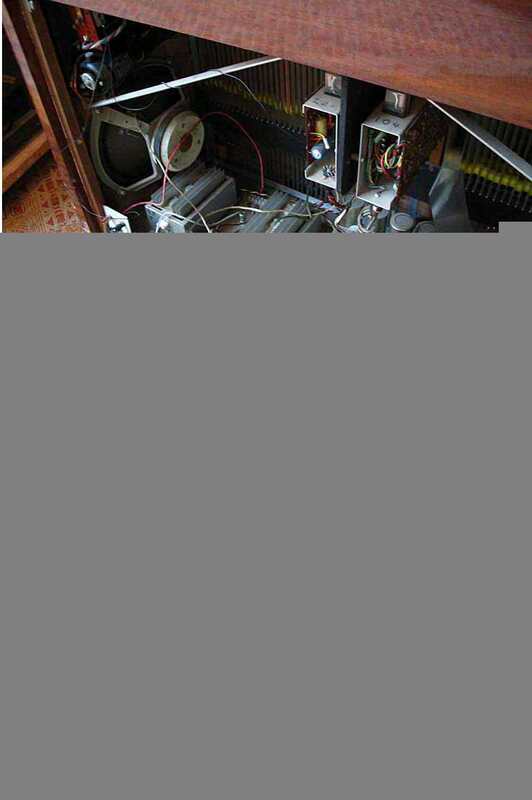 4) Stray wires are gone, broken tape separators are replaced. 5) Stray wires are gone, and the missing speaker is back. 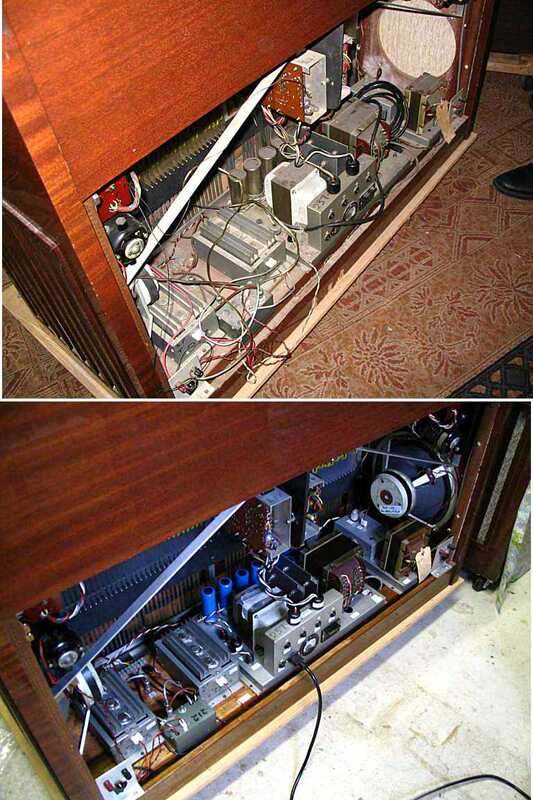 Amplifier repaired. 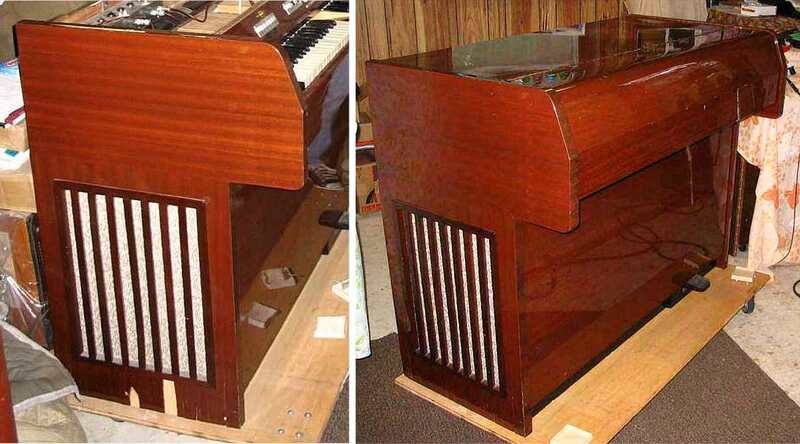 In addition to bringing the machine to factory specification (or better) mechanically, Jerry has also investigated various low-noise modifications for the Mellotron Mark I/II series. 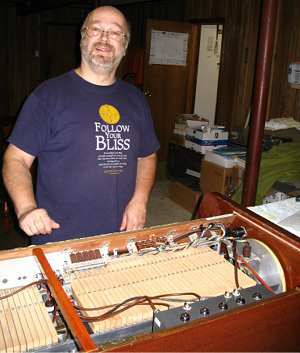 Jerry implemented the low-noise mods he knew of at the time, but further research since September 2006 has led to an even quieter Mellotron. Jerry estimates that the noise coming from his Mark I is about 1/5 of what it was after its initial restoration.